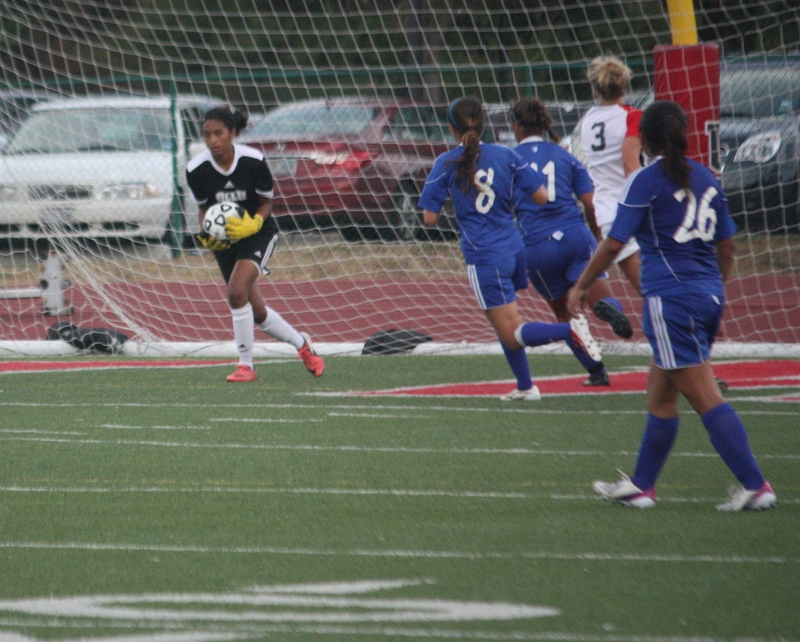 Saints Goalkeeper Gabriela Lopez recorded seven saves for the Saints against UIW. OLLU women’s soccer team tied the Rattlers from St. Mary’s University 2-2 at the OLLU Soccer Field Thursday night. The Saints came back from being down 0-2 and junior forward Stephanie Diaz tied the game with only eight seconds left in the second half. After a 45-minute lightning delay and two overtime periods, the scored remained at 2-2. Read more online. Freshman Amaris Tavares and her hat trick led the team to an 8-1 win over NCAA Division III Schreiner University on Friday afternoon. The win moves the Saints to 3-0-1, while Schreiner drops to 0-3. Read more online. In the last of three games in the week, the Saints faced NCAA DI University of the Incarnate Word (UIW) for the first time ever. Despite a tough battle, the Saints fell 1-0 to the Cardinals. OLLU is now 3-1-1 on the season.